Egusi is what we call pumpkin or melon seeds in Nigeria. Egusi soup is a soup made of these ground seeds, usually with a leafy green, palm oil and spices. 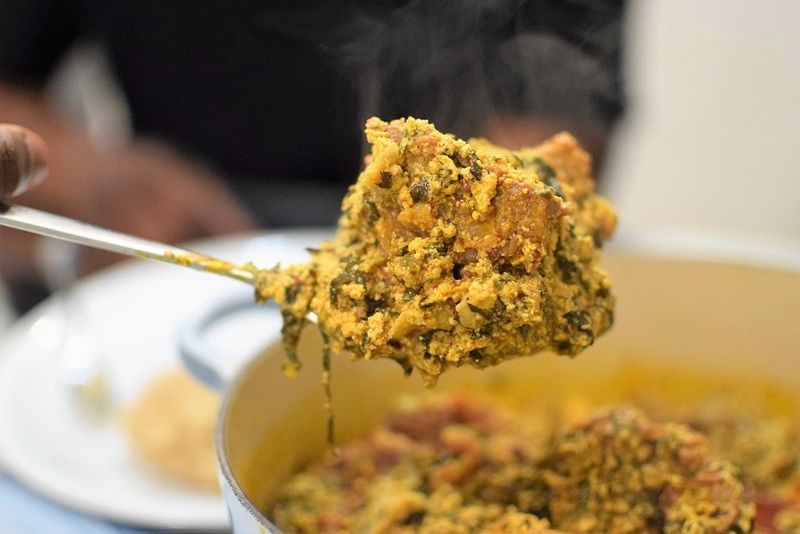 It is a classic Nigerian soup, and I have stayed true to the flavours of traditional Egusi – no fusion this or that here – just for a change :). -Put the water, beef, onion, pepper and stock cubes in a large pot and boil until meat is soft. -You should have at least 1L (4 cups) of stock leftover after boiling and we will use it later. -In another large pot, heat the palm oil and fry the onions until soft. Add the stockfish fillets, and allow to cook for 1 minute. -Put the ground egusi in a bowl and splash on some water, just enough to make a thick paste. Mix this with a spatula or wooden spoon to make sure it is smooth and lump free. -Now scoop the thick egusi paste into the hot palm oil, onions and stock fish. Stir well. -Add the ugwu and bitterleaf, the crayfish, the stock cube and about 2 cups of the beef stock. Also add the salt and pepper to taste. -Allow the soup to summer away on medium heat with the pot lid shut for about 35 minutes. You may need to slosh on more of the beef stock if the liquid dries up before the soup is done. -Because the beef and shaki are boiled soft already, you can add them now, towards the end of cooking, along with the periwinkle or ngolo (sea snails) which cooks in a matter or seconds. -(You will know when the soup is done when the egusi loses its chalky, stick to the roof of your mouth quality, and the rich orange palm oil rises to the top). -Serve with rice, garri, pounded yam, rice flour, or amala. Serves 6 adults. Can be made ahead and frozen. 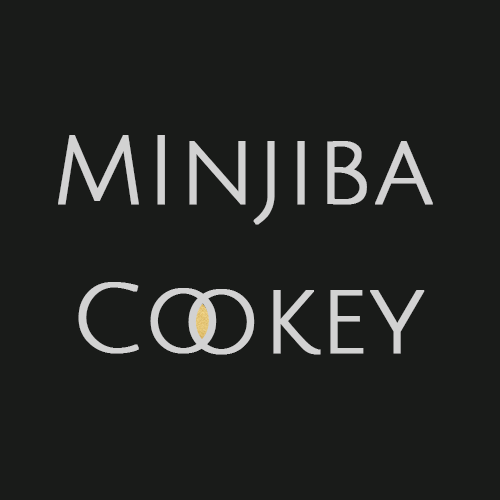 © Minjiba Cookey 2017 | Created by Bitwyse Web Co.